Vol. V, 5, I of the C.P.E. Bach Complete Edition, edited by the Packard Humanities Insitute C.P.E. 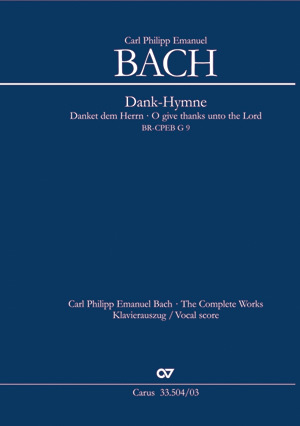 Bach’s Dank-Hymne, a large-scale cantata which the 72-year-old wrote at the beginning of 1785 in Hamburg, probably for the occasion of an unknown person’s birthday. 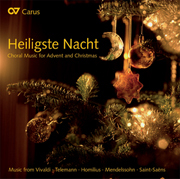 The cantata comprises two self-contained parts, the first of which portrays a hymn of praise to almighty God and creation. The birthday is only referred to in the distinctly shorter second part, and then only indirectly, before the final chorus strikes up the hymn of creation again, ending with the words “Schön ist Gottes Welt”. The Dank-Hymne is one of Bach’s most modern vocal works and already clearly shows an awareness of the great oratorios of Joseph Haydn. Hier warten neue Aufgaben auf ambitionierte Chorleiter. Überflüssig, die Qualität der Neuausgabe zu kommentieren: Das sprichwörtliche Carus-Niveau kennt und schätzt längst jeder seriöse Musiker. 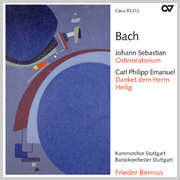 Die Ausgaben tragen hoffentlich dazu bei, dass die Musik am Übergang zwischen Barock und Klassik wieder mehr Beachtung findet.